Finance Ministry has issued Draft GOODS AND SERVICES TAX -INVOICE RULES, which set rules for invoice which will be issued after the implementation of GST. This rules is very important as this will tell us the minimum/compulsory content of the GST Invoice, time (when will the invoice be issued), manner if issue of invoice (no of copies) etc. This is one of the important preparatory steps as business houses, irrespective of the sizes , nature , goods/ service has to mandatory comply with the requirement from the day1 itself. This article contains the analysis and summary of the rule along with the format of Invoice. – Registered Supplier engaged in other than composition scheme and dealing in Taxable goods / Services. – Registered Supplier engaged in non-taxable goods and/or services or paying tax under the composition scheme. 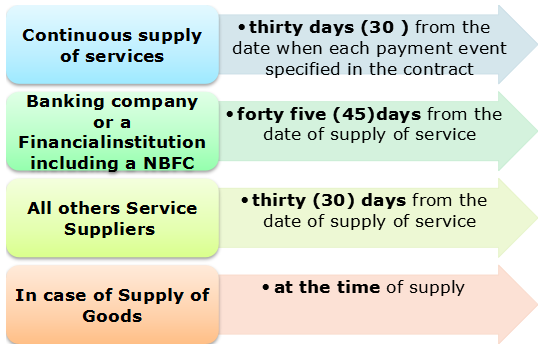 5. number and date of application for removal of goods for export [ARE-1]. (b) the duplicate copy being marked as DUPLICATE FOR SUPPLIER. Provided that the duplicate copy is not required to be carried by the transporter if the supplier has obtained an Invoice Reference Number under sub-rule. Serial number of Invoices issued during a tax period shall be furnished electronically through the Common Portal in FORM GSTR-1. III. What is Invoice Reference Number? This is a reference number which will be used in lieu of invoice which can be verifiable by proper officer; this will eliminate the requirement of preparing the duplicate copy of the invoice for transporter in case of supply of goods. A registered taxable person may obtain an Invoice Reference Number from the Common Portal by uploading on the said Portal, tax invoice in the required format GST INV-1. Ramandeep Ji, your article is very informative. You made everything clear except that you did not provide how GST would be charged on Freight, Insurance and Delivery/Packing. So, If I want to charge Freight/packing, is GST applicable? Would the charge on freight/packing be included in the final Invoice value? Please make this clear. The content of the Article are very informative and excellent. thanks for the sharing.